Is your video portfolio slowing down your website? Videos often do that! 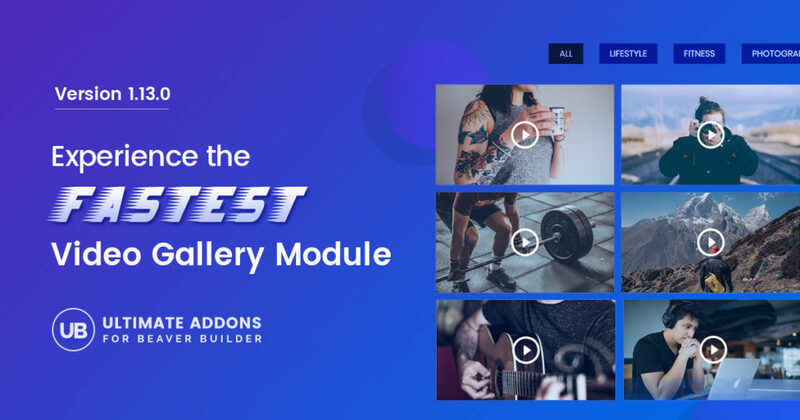 The revolutionary Video Gallery module of the Ultimate Addons for Beaver Builder version 1.13.0 lets you create trendy video galleries with several videos in it. All this, without affecting the page loading time. Loading Time Optimization to make sure all the videos in the gallery are fast and do not affect the loading time. Grid and Carousel layouts to give you a choice on how you want the gallery to look. Easy Video Sorting and Ordering to help you prioritize videos and place them in order. Customize the Play Button and make it look clickable. Customize and Display Stylish Video Captions to describe the video. Display Video in a Lightbox or Inline that lets you choose how you want the video to play. Want to see how this looks? You can take a look at the demonstration we have for you. 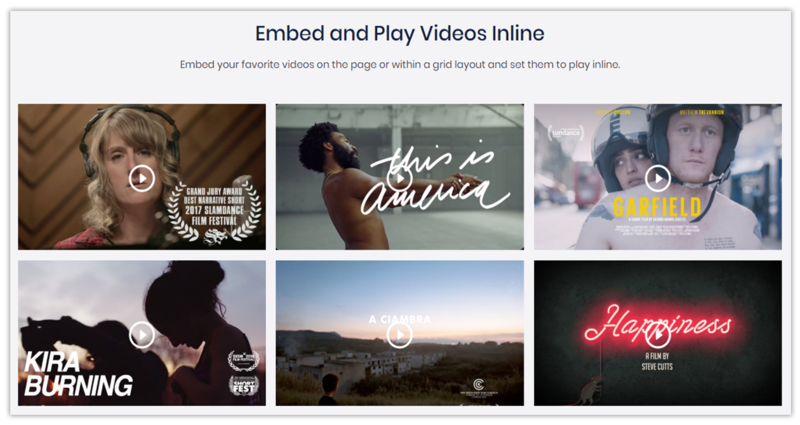 You can also refer to the knowledge base article that will help you know how you can make the most out of the video gallery module. This update also has an improved version of Advanced Menu and the Contact Form and much more. You can refer to the changelog to see all the improvements and fixes this update offers. You can go ahead and update the Ultimate Addons for Beaver Builder to get this amazingly fast video gallery module for your website. Until then, go ahead and create a beautiful video gallery on your website! After all, visual media helps attract and engage users a lot more! Thanks, UABB! The video gallery module is impressively faster! I truly wish you had also allowed shortcode to be inserted for each gallery video. We make extensive use of shortcode that triggers gated videos which in turn results in leads for our business. Just having YouTube and Vimeo as choices should include a 3rd text entry option for shortcodes that result in the video playing with gated script. We can upload a thumbnail too for what’s displayed in the gallery or grid. We are mainly focussing on performance along with features. As you can see that this is termed as the fastest video gallery module for Beaver Builder, we have used an optimized code and therefore adding a shortcode method is not possible in the algorithm that we are using. This is great, but I really need the ability to always show the caption below the video thumbnail. Or perhaps you can add a field for video title below the video. Thanks! Please feel free to let us know in case you have any further ideas or suggestions for us.